Order Now and Enjoy the Convenience of Our 1-Year Warranty! 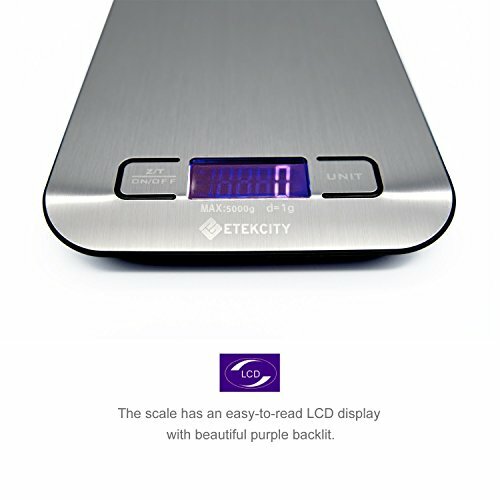 This Etekcity digital scale has endless uses for personal or commercial environments – great for homes, kitchens, offices, mailrooms, and more. 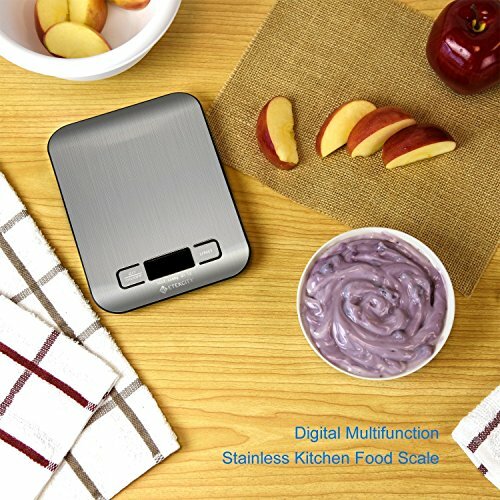 The scale has an easy-to-read LCD display with beautiful purple backlit. 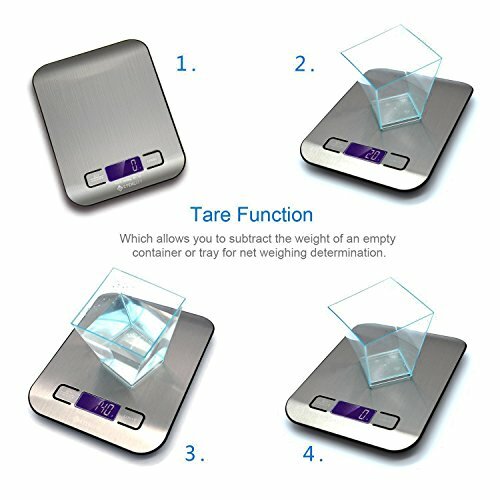 With a capacity of 11lb (5kg), you can weigh a variety of items with ease. 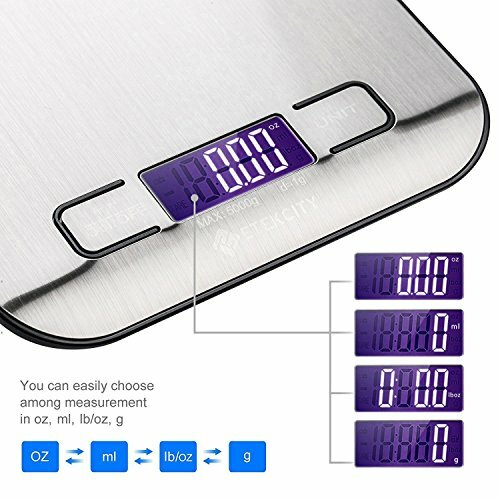 You will be surprised at all the uses you will have for this product. 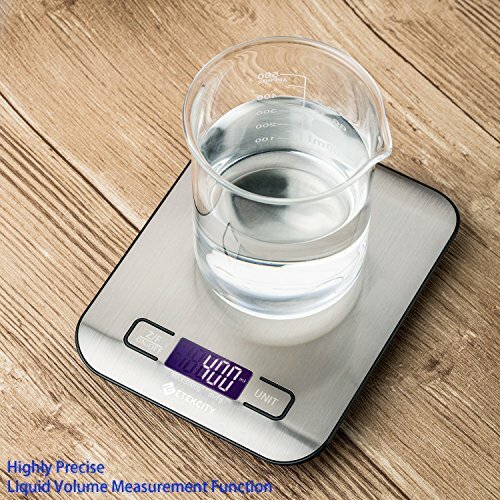 You can easily choose among measurement in oz,lb/oz,g,ml.This digital scale measures with a resolution of 0.01oz (1g) for accurate weighing. 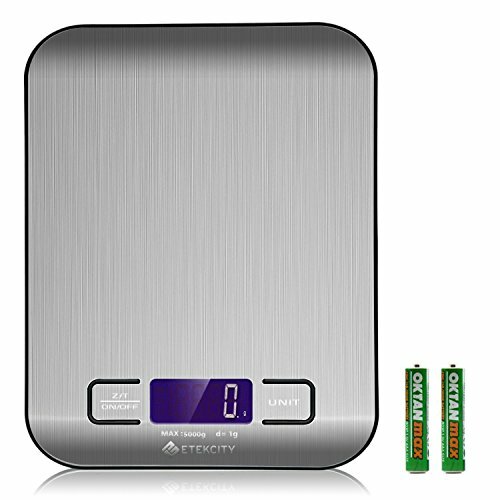 Power is provided by one 2 AAA batteries (included), making the scale portable and ensuring that you can easily acquire replacement batteries. 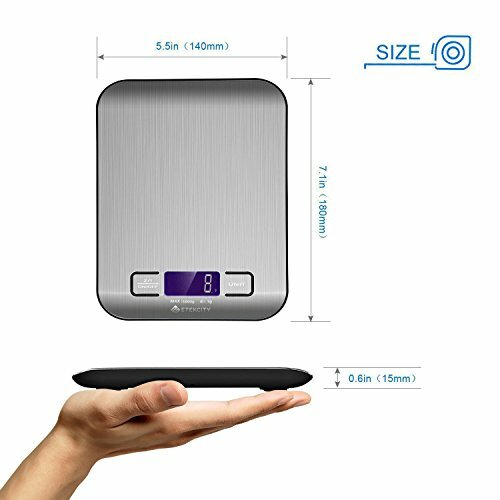 The scale can be reset to zero for accurate measurement, or adjusted to weigh items in bowls or measuring containers, which is particularly useful for cooking. 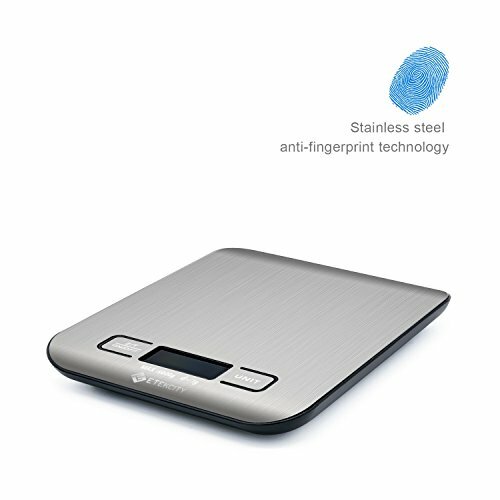 To save energy, the scale also features an auto-off function, allowing the scale to turn off after 2 minutes inactivity to save energy.